What have we been working on lately? Hear a preview of some of our performances on the Audio page. Come to the photo gallery to check out some recent pics from our holiday show. Find out about this uniquely American artform and the organization of barbershoppers called the Barbershop Harmony Society. Click here to learn more. Your contributions to our quartet can really make a difference. Find out what you can do to support us. Drop us a note on our contact page. Checkpointe! 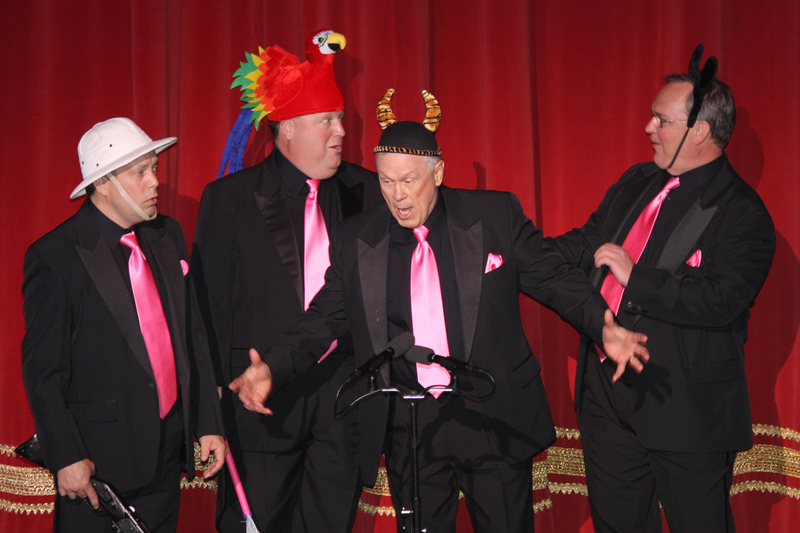 is a 4-part a capella vocal quartet performing around the Billings, MT area. Welcome to our site! You can find out all about our upcoming events, see some pics of us, and get in touch! Checkpointe!, a performing quartet from Billings, MT, is made up of four proud members of the newly formed Treasure State Sound Chorus. With over 60 years of combined singing and performing experience, we have a solid commitment to this style of music. We have spent countless hours teaching and demonstrating to all ages from kindergarten through high school and beyond. Checkpointe! has been faculty members and teaching quartet for youth outreach and educational events and love the opportunity to share this style of harmony with school aged kids. After all, it will be the youth carrying this unique American art form forward! Checkpointe! has successfully competed in the Rocky Mountain District of the Barbershop Harmony Society. In addition to Montana, we have also headlined shows or performed in Utah, South Dakota, Wyoming and Idaho and Colorado. Checkpointe! is very active in the Billings entertainment scene performing for a variety of groups and occasions. Please contact us to sing at your next special event! © 2008 - 2019 Checkpointe!